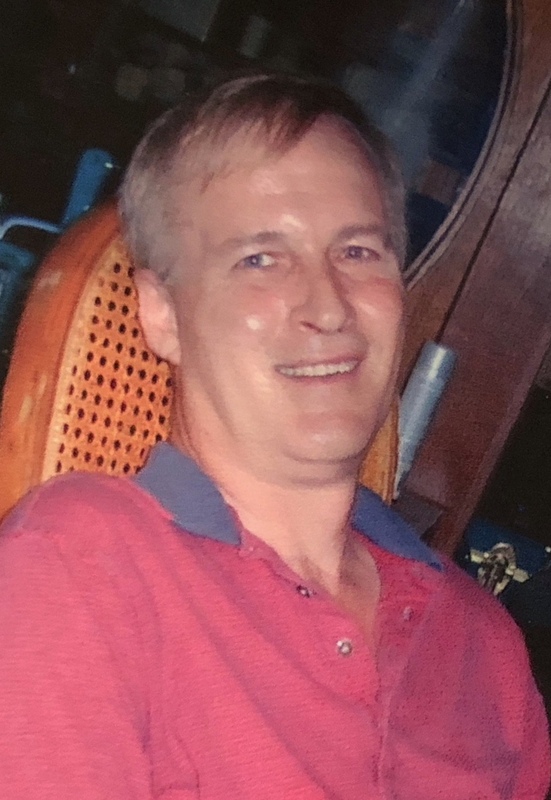 Randall R. Kinsler, 65, of New Bloomington, died Friday morning October 19, 2018 at the O.S.U. Medical Center. He was born May 20, 1953 in Marion to Vernon C. Kinsler Jr. and Virgie Ann (James) Kinsler, his mom survives in New Bloomington. Randy was a 1971 graduate of the Elgin High School, he had worked at the Whirlpool Corp for over 35 years. In his younger days he played triple A baseball and softball for the Whirlpool team. Randy loved to play golf whenever he could. He was also a huge O.S.U. Buckeye fan. But his true joy in life was his family, especially his grandkids, he loved being a grandfather. Memorial services will be held Friday evening October 26, 2018 at 7:00 pm at the Stofcheck-Ballinger Funeral Home in LaRue, Pastor Kathy Herr will officiate, friends may call Friday from 4-7 pm prior to the service at the funeral home in LaRue. Private burial will take place in the Agosta Cemetery. Condolences to the entire Kinsler family. So very sorry for your loss. Deepest sympathies to the whole Kinsler family. Our thoughts & prayers are with you. So sorry to hear of Randys passing. I worked with him sometimes in labor pool. I think he tried to be a tuff guy but I got a kick out of trying to make him smile. And we talked Elgin football!! He will be missed. Prayers to hos beloved family. So sorry to hear. Thoughts and prayers are with Randy's family. He always had a big smile and was so proud of his family. May you find comfort in the days ahead looking back on the wonderful memories you were able to share with each other. My thoughts and prayers are with all of Randy's family and friends, at this time. Jackie and Dennis, We are so for your loss. I remember Randy what fun he was when at your house growing up. He will be missed by all. Prayers to you both and your family. Very sorry to hear of Randy passing. I worked with At Whirlpool also. He was a very quiet and soft spoken person around me. My prayers are with his family. Jackie and Dennis, Such good memories of you all. Randy always made me laugh. I wish we could go back for a little while. Hugs to you. My heart is very sad. Randy and I were together off and on for 13 yrs. We both loved each other very much. I send my deepest sympathy to all of his family. Randy was part of my family with our 2 dogs that he called our boys and with the rest of my family also. I have many, many memories of him that I will hold dear for the rest of my life. I am so sad and send deepest sympathies for his mom, his siblings, his children and grandchildren. You all meant so much to him. My prayers are with all of you. He was a very kind and loving man and will be missed by all who knew him. Randy lived next door to us and we became friends with him and his family. I remember him as a nice person and a good softball player. Prayers for the family. RIP Randy. So sorry for your loss. Prayers to you and your family. Will be thinking of you. So sorry to hear of Randy's passing. Prayers for the entire family, sorry for your loss. John and I are thinking of you as you grieve the loss of your Dad. So sad. May you find comfort in faith, family, and your memories of time spent with your Dad. Give your kids a big hug! We are holding you all up in prayer! May God be with Randy's extended family members during this time of grief. Good thoughts go through my mind when I think of the many memories I have of Randy. We are saddened to hear of Randy’s passing. A classmate that will be remembered with nothing but fondness. Our thoughts are with the family during this difficult time. My deepest sympathies and condolences to Randy's family. I went to school with Randy and he was a fun guy to be around. So sorry to hear of Randy's passing. I would like the family accept our deepest condolences. He will be missed by all that knew him.